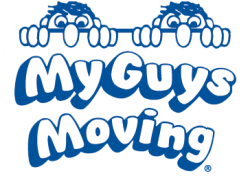 My Guys Moving & Storage of Virginia Beach is a full-service moving and storage company serving the Virginia Beach area. We have more than 25 years of experience in the moving and storage industry, and we specialize in efficient and safe moves with exceptional service. We offer a full range of long distance moving services, including long-distance moves (both intrastate and interstate), commercial moves, packing services and warehouse storage (now in Richmond, VA). We are also equipped and ready to move a wide variety of specialty items, such as pianos, gun safes and antiques. My Guys Moving is your one stop shop for all your long distance moving and storage needs! We are are a proud member of Move for Hunger, a non-profit organization comprised of moving companies around the country who donate non-perishable goods to local food banks. If you’re moving with My Guys Moving & Storage of Virginia Beach, just ask us for some special marked boxes that you can put your non-perishable food into. Our movers will pick up the boxes and take them to the Central Virginia Food Bank. Even if you aren’t moving with us, please consider making a donation of the canned goods you won’t be moving so that they can go to a local Virginia Food Bank! One of the owners of My Guys Moving & Storage of Virginia Beach is also an active member of Rotary International at his local branch. In 2012, the Rotary Club of Innsbrook received the Presidential Citation and was recognized as the best club, due to their commitment to service, generosity to The Rotary Foundation and membership growth. They currently have more than 100 members. Rotarians are united in a global campaign to eradicate polio and address six major areas of humanitarian service: maternal and child health, water and sanitation, peace and conflict resolution, basic education and literacy, disease prevention and treatment, and economic/community development. In 2012, My Guys Moving & Storage (then operating under a different name) partnered with Champion Homes Realty to organize a donation drive for those in the mid-Atlantic and northeastern United States affected by Hurricane Sandy. We collected donations at our warehouse and drove a truck full of everything including clothes, flashlights and bedding up to New Jersey for distribution. NBC12 did a story on the drive and helped spread the word, and then followed up after we had dropped off the donations. If you have any questions about our moving and storage services in Virginia Beach or Richmond, please give us a call or fill out our form for a free in-home quote.